Why are aircraft parts built in different places and assembled in one? Airbus has its manufacturing facilities in Spain, France, Great Britain and Germany. Each country produces different parts of the aircraft and is finally assembled in one place. Why is this? Wouldn't it be more economically sound that everything was built and assembled in one place? Is it because all of the countries in Airbus group have to have some work? Is it because you can't get all those workers in just one country? I don't understand economical and logistical logic behind it (if there is one). I believe Boeing has the same practice which puzzles me even more, since USA is more of a one country than EU. Is it really cheaper to manufacture something big as a wing overseas and transport it to one facility? You can only hire so many people at one place, and also only find so much land there, so when the whole process no longer fits, there is no other option than start building components at other places and move them to the final assembly place. In part, it is also historical. Airbus, but to an extent Boeing too, was formed by mergers of smaller companies as building a plane became more complex over time. So the companies got already working facilities with already qualified workers. Closing them down would lose them those workers, and cause quite a bit of bad publicity too (and at least in case of Airbus some political pressure), so they got used for whatever part of the process fits in them. And some factories simply don't have any unused land around them, so the companies can't grow them even if they want to and have to open new ones instead. This is probably worse in Europe, which is more densely populated, so building a really big factory is basically out of question anywhere. There are many considerations in where parts are manufactured or assembled, and not all are directly related to economics. Both Boeing and Airbus have assembly lines located around the world, so it can make more sense to consolidate production of components in one place. Manufacturing large parts requires a huge investment in tooling and machinery. For example, the large autoclaves used to produce large sections of the 787 were very expensive. Boeing decided to locate them all in South Carolina, and fly some of the parts to Washington for final assembly. Even with modern technology, producing repeatable parts is much easier with one location. Some skills may also be fairly specific, and build up the expertise in a certain area. There are also political aspects. In return for allowing their airlines to purchase aircraft, countries like to see some sort of return on that investment. You can imagine there might be a bit of backlash in Europe if Airbus decided it was going to move all manufacturing to France. There are already concerns over how Brexit may affect Airbus manufacturing in the UK. So why not just have all the final assembly in one location as well? Politics factor in here too, which is why Airbus-designed airliners being assembled in France, Germany, China, and the US, rather than in one location.  Even Boeing, which had traditionally assembled all of its aircraft in the Seattle area, chose to locate major parts of 787 manufacturing and assembly in South Carolina, and recently opened a finishing center for the 737 in China. But the deal goes both ways. Some of the cost of splitting up manufacturing locations can be recovered by "shopping around" between cities, states, and countries, to see who is willing to offer more compelling terms in return for moving jobs there. There are also economic reasons to split up production. Natural or manmade disasters, politics, or just accidents can affect local areas. This allows companies to diversify their investments geographically, so that any issues may only affect a small part of the supply chain, rather than most or all of it, if it were concentrated in one place. Risk reduction by second sourcing. This means that a manufacturer tries to sign up several manufacturers for the same part to make sure, that if one can't deliver by whatever reason, there will be a backup. Production for some parts may be better concentrated around the part than the final product. Think engines, where it's more useful to produce them in their own plant then have an engine fabrication for each and every plane type - despite the fact that engines are custom to each. Production requires according production technology, so it might be useful to have parts made by specialised partners than building a line on site. Like let someone with facilities and knowledge of carbon production do whole wings on their own instead of setting up a new plant to do so. Especially with airliners parts can be so large, that they require a seperate plant which in turn can be locates anywhere - the wing production for Airbus in the UK is agood example here. Last but not least is size of a plant. It may be hard to get enough workers and even less specialist concentrated all in one location. Detroit is a great example how this may result in hard to handle giants. Well, and then there is history. Usually large manufacturers have been grown by mergers and acquisitions of several companies with existing sites of their own. Continuing full scale production on all sites doesn't make much sense, closing them down may result in losses - not just monetary but more important it may result in a hefty loss in qualified workers and engineers. Modularisation and specialisation of each site may turn this into a win-win. Unless what's often perceived, history is no reasoning on the long run, as plants may be moved or closed at some time. Within Airbus there are internal competition processes between all plants when it comes to new products or production lines, when it's about to figure out who is getting the job. Thenks to Brexit reporting the crancshaft of the BMW Mini is a great example that even a brand new production, setup with only little previous history to obey, will result in production cycles where parts get moved several times around the world before the final product is done. It gets cast in France, forged and machined in England, build into an Engine in Germany (or Austria), which in turn gets moved to the UK (or Netherlands where the second Mini plant is) and finally put into the car. That's the way modern (complex) products are made and airliners are no difference. This has not mich to do with aviation. All big companies are required to spread around the world. It depends on where your workforce lifes, where does the customers reside and where you get your natural resources and political conditions. Airbus was merged together from smaller and bigger companies founded across Europe. It was fostered by politicians* across Europe and because some companies have special abilities, workers, tools and so on they produce their special stuff and others put it together. Airbus also has bought some things, e.g. the A220 project from Bombardier. Boeing has bought a lot of companies, just to name McDonnellDouglas or Rockwell or Hughes. And also facilities across the world, e.g. even China. The main point is, neither a large microsystem nor a big monolith are perfect. The nature of infrastructure, people, place, history and logistics prefer a mixed setup. Also outsourcing (expensive and risky) nor insourcing (expensive and risky) everything are working well. Some things can get really big, like Volkswagen in Wolfsburg, but it requires even own power plants. But well, they produce cars in Czech, Spain, Italy, China and the USA. Probably forgot something, Great Britain? Mexico? South Africa? Brazil? So it’s rather distribute. Intel is another example, their Fabs are big and spread around the world. Same for software, Red Hat is mainly working in Czech and the USA, but also in some other places. AFAIK the famous/infamous Franz Josef Strauss was a supporter of the A300 and himself pilot. Imagine a location really needs employers, to provide jobs. So the local or national government may choose to subsidise part of the costs. The laconic answer is for political reasons. You partition the job to many areas, so that everyone gets its workshare, and keep their economy moving. Pros: A site capable of building every single part of an airplane needs to be colossal. By scattering the work, you avoid that. Cons: Merging all the parts is prone to errors, and many airplanes were delayed because different areas were using different software versions, metric units, etc. Examples: A380 late delivery due to crossed wires, where "The wiring wasn't following the expected routing through the fuselage, so when we got to the end they weren't long enough to meet up with the connectors on the next section", and then basically restarted from scratch, and did that manually. Boeing 787 subcontractors unsynchronization, where it also led to major delays. Airbus now is the conglomeration of many old companies - as recently as 2014 there was a merger bringing in EADS Astrium satellites, Paradigm security, Eurocopter, Safran launcher services etc. into Airbus GROUP. Not all of these are related to the building of planes, but they all had their distinct fields of work prior to being merged. Specialisations for designing certain parts of a plane/spacecraft are kept locally. The team specialised in optimising engine performance doesn't need to know about the avionics system, the team in charge of landing gear doesn't give a Gnats knee what the windshield looks like. What determines the specialisation where, in this case, is in some ways related to the previous specialism of the absorbed company/site. I don't know a great deal about the Airbus aircrafts business history, so I'll digress from planes into an area i'm more familiar with. Airbus Portsmouth used to be an EADS Astrium site, before that it was Matra Marconi, before that Marconi Electronic Systems... who produced electronic components for space purposes. Nowadays, in PTH we make payloads for satellites that get fitted to the "bus" built in Stevenage, that gets coupled to the transfer module, solar arrays, antennas in Toulouse, and finally shipped to launch from a few places around the globe. This was the case when we were Astrium, and stays the case now. You've also got to think about the sheer size of the things. You need a vast amount of space to put a wing together and test it - it's just not feasible to move all the infrastructure, and people, to a single location. You'd need to build a small town around it to accommodate all the employees - And then convince them all to up sticks and move to the new site. In terms of manufacturing wing-size things in one place and transporting them to another country.... 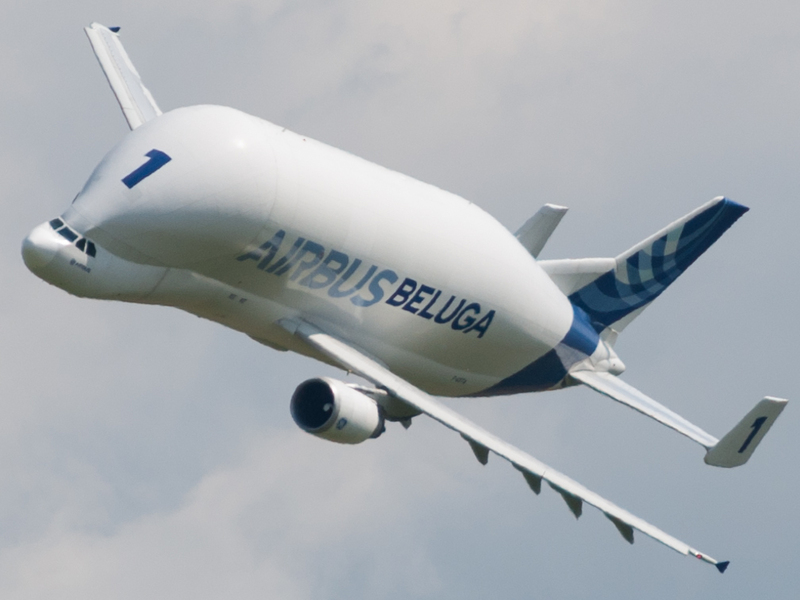 I give you the Beluga, Specifically modified to do exactly that. The main reason is the manufacturers have mostly gone to a "risk sharing partner" model of development because no one wants to put out the coin required to develop an entire program in-house. So manufacturer X will take on company Y, Z and D and C as partners, more or less co-equal, to design some of the major components as well as manufacture them. The partner takes on the costs, support obligations and profit share of the component or system. The upside is the OEM can develop a design with only half the capital of doing it in-house, and only takes half the risk, but at the same time gives up half the profit potential and gives up a lot of control because the partner is "at the same level" you might say and is not as easy to boss around when things aren't going well and there is disagreement on what to do about it. Not ideal, but better than a project not going forward at all. political control over high tech Remember the EU started as a project to give control of steel and coal, indispensable for large scale military production, over a supranational community. That was partially because after WW2 the other European states wanted to watch over the military buildup of the Germans. Why not do that with the High-Tech conglomerate? Also Airbus, as agreed between France and Germany, had for a long time always a double CEO, always one German and one French. Interestingly the large nations, except Germany, kept some company in house (BAE, Dassault).Nobody can see into the future and every state wants to be independent from external defense industries, in case the foreign suppliers experience "mysterious delivery issues" after a political fall-out. So it is better to have able defense suppliers in the country. high tech Why having a large (I don't know how many, but I guess something in the 10-20) number of small companies build up the necessary high tech when one giant could do better? The EU doesn't care about inefficiencies at Airbus as long as they get things more or less done. The reassurance to all members that they can have military equipment (and keep a watch on the larger countries defense procurements) is much more important. Should one day a larger part of all those factories and Know-How be located in, say Germany, some people would become very nervous. Wait: What about the civilian range of Airbus? Not the answer you're looking for? Browse other questions tagged airbus boeing economics or ask your own question. Are aircraft sounds publicly available in a repository? Why does Boeing name its aircraft B7x7 and Airbus names theirs A3x0? Are modern Airbus aircraft protected from excessive rudder input? Why are 737 fuselages built in Kansas? Why are general aviation avionics so expensive? Why we had two empty rows on busy Ryanair flight Boeing 737-800 and no one was allowed to seat there? Why are jet fuel prices very similar in North America and Europe, yet automotive fuel prices are very different?